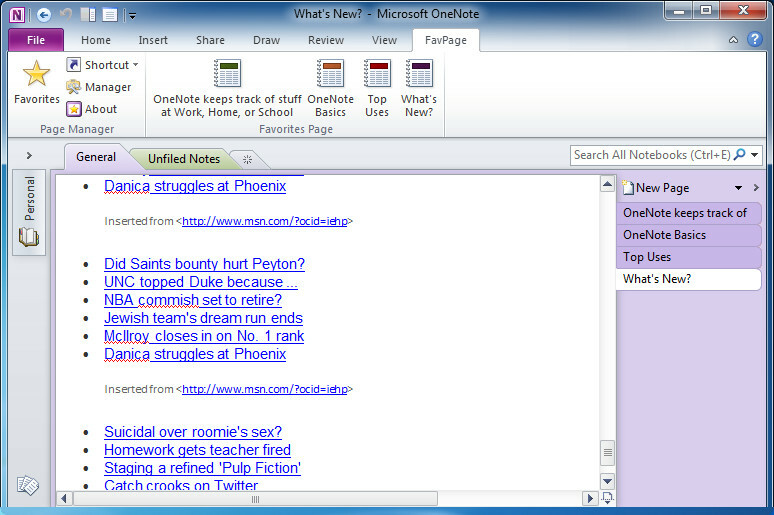 OneNote Gem - Favorites is add-ins basically used for quick navigation for OneNote 2010. Add frequently-used pages, sections, searchs to the favorite page tab, and click the button will jump to the page (section, search). Using Keyword Tags, we can achieve an article belong to multiple categories (Tags).